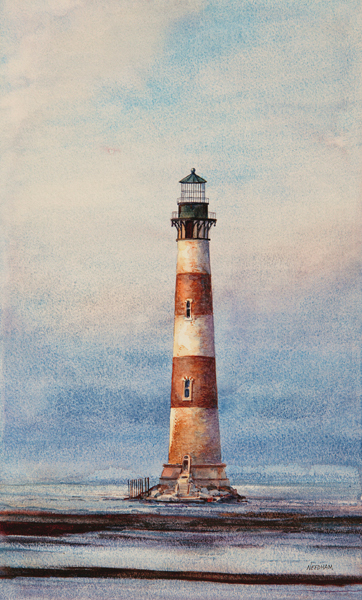 The original Morris Island Lighthouse was built in 1767 and was later destroyed during the Civil War. Now the tower that replaced it in 1876 is also threatened. Damaged by hurricanes, and by an earthquake in 1885, the lighthouse continued to function until the early 1960s when erosion began to wear away the surrounding land. Today Morris Island tower stands on the brink of ruin, it’s black and white bands faded and its foundation awash in the tides.